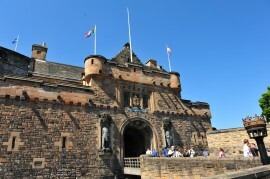 The majority of visitors to Edinburgh are attracted to the city because of its heritage and history. Make the most of this by ensuring that you integrate the heritage and history of Edinburgh onto your website and communications. ETAG’s Edinburgh – A World Heritage City Business Opportunity Guide, will give you the market facts and useful tips and tools to help you capitalise on the opportunities that the city’s World Heritage Status can bring to your business. ETAG works closely with the Edinburgh World Heritage Trust they have a great range of downloadable resources which you can share with your visitors. 2017 Year of History, Heritage and Archaeology! ETAG’s – Edinburgh – A World Heritage City Business Opportunity Guide, will give you the market facts and useful tips and tools to help you capitalise on the opportunities that the city’s World Heritage Status can bring to your business.